Editor's Note: Fitness author Jon Benson shared this letter with me and gave me permission to share it with you. Then there's stuff you don't know. The things you don't know you don't know. 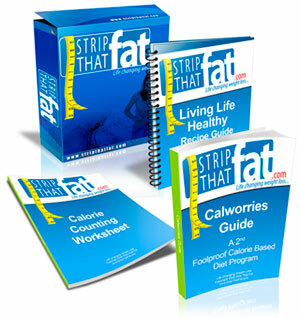 -- How can I get rid of my stubborn body fat? -- How fast can I do it? -- What's the best diet plan for me? These are good questions, don't get me wrong. But there are at least 10 questions most people never know to ask. It's the stuff they didn't know they didn't know... make sense? HIDDEN QUESTION 1: "What's The Best Dietary-Fat To Eat To Get Rid Of Bodyfat?" You absolutely must consume dietary fat in order to burn-off your bodyfat. There's an old saying: "Fat burns...but in the presence of dietary-fat." Coconut oil is ideal to cook with. Use that in place of all the starchy foods you may be eating. You'll get leaner faster... and you'll be a ton more healthy too. Coconut oil keeps you satisfied longer, lubricates your joints, and yes... actually helps you get rid of stubborn body fat. CLA is a form of (gasp!) transfat... but it's a healthy form that helps your body get rid of body fat. You can only get it in supplement-form... well, that's the best way. I personally take 4 grams per day. Jarrow is my favorite brand. You can get it at most health food stores. HIDDEN QUESTION 2: "Why Is Cardio Bad For Me?" Okay... that's an over-statement. It's not 'bad' for you... it's just not nearly as 'good' for you as the media and magazines want you to believe. Especially if you do it the way they suggest: Too long, too frequently. Do it the way I suggest and watch what happens. First, spend 80% of your exercise time doing 'resistance' training, not cardio... but rest very brief between sets. My newest update to "7 Minute Muscle" is called "7 Minute Body". 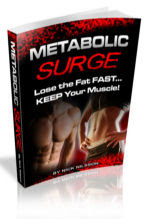 It combines both "7 Minute Muscle" and an additional 100 or so pages of in-home ONLY workouts. That way you can train in the gym... or in your home... and get it done in 7 to 14 minutes a day. Done! You will be shaping your body and burning-off some major calories at the same time... all without boring cardio. Then when you "do" cardio, do it the way I detail in "7 Minute Body"... use the 9-minute GXP Cardio Workout. Add simple walking to this several days a week and your cardio is set. GXP works because it is progressive and does not over-tax the recovery system. You warm up, then hit about 85% of your max effort, then cool down. But the key is 'when' to do it... and that's covered in my book. I still enjoy sitting on my bike and watching TV, but I do that just to burn-off those last bits of bodyfat. Most of you do not need to do this. It's a waste of time for the masses... but resistance training is not. Oh, one more thing: Runners have a far higher degree of heart attacks than non-runners. So cardio 'can' be bad for you if you over-do it. HIDDEN QUESTION 3: "How Does Pizza Help Me Shed Body fat?" My dietary plan not only "lets" you eat pizza (or whatever your favorite foods might be) every week, several times a week... it DEMANDS that you do it. First, I have you eat less on certain days and certain times. If done the way I suggest your metabolism (the rate you use fat, energy, etc.) will not slow down that much. Then... at a specific time... boom! You eat a lot more food... and the best way to do this is eating your favorite foods. First, they usually have more calories.. duh! Second, you'll ENJOY the freakin' process! Most "diets" fail because people hate them... too restrictive. So I created my System from the ground up to ensure I never got bored with my eating... and the extra cals from pizza (or my favorite... Mexican... or Key Lime Pie... yum) actually boosts my metabolism sky-high. So, after several days of lower-cal, lower-carb eating, I ate about 5000 calories of Mexican food (so good!) But the TIMING is crucial. You just can wing it. Don't worry... I tell you exactly when to do it. The next morning I saw more of my abs. I went back to EODD-style eating, which I love btw... and then later had some Key Lime Pie... and what do you know? Leaner the next day. Now I'm doing this as I "peak" -- I have to be in top shape in December. The only time I stop this is 4 weeks prior to a photo shoot... but unless you want to be 5% body fat (and you probably do not) you never have to stop it.